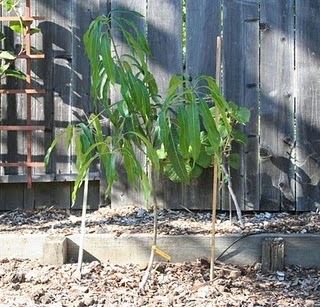 Here is a quick update of my mango trees. I bought them in January/February 2009 and did not protect them during the cold spells we had and they took quite a beating. They got hailed on but still survived. 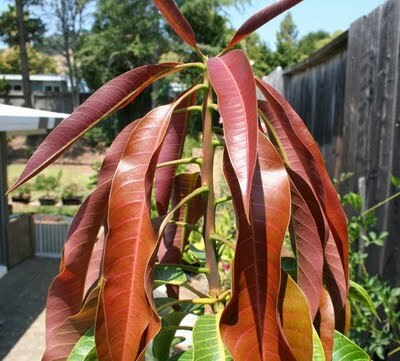 This is some new growth on the Carrie Mango tree. I cut this tree way back to about 2.5 feet because I wanted to keep it very small so it will be easier to protect and keep it in the container. Here is the icecream mango. Instead of sending out new growth flushes it keeps on sending out inflorescence (flower stalks). 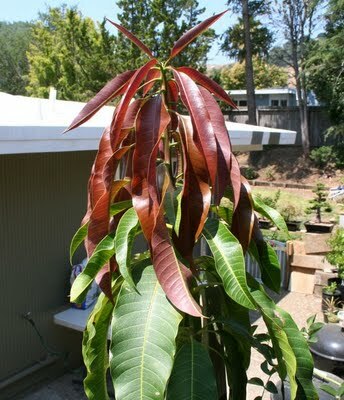 I keep cutting them off because I want the energy to go towards producing leaves since this is one of the slower growth trees and it took quite a beating during shipping and the hail storm. 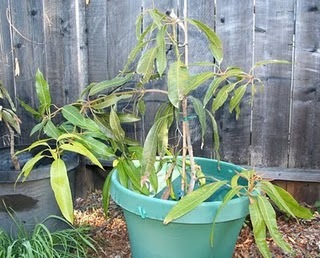 My Glenn Mango tree has had 2 growth flushes since february. It is about 4.5-5 feet tall. Here is a picture of a mango on my lancetilla mango tree. I thinned the other mangos off so that only 2 remain on the tree. I will keep you updated on how long the tree holds the mangos. I don’t think much longer. 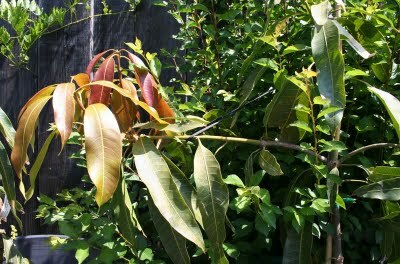 Here is the new growth on the lancetilla mango tree. This branch had a big inflorescence as well and a bunch of little mangos but i cut them off. Here is some new growth at the base of the lancetilla. 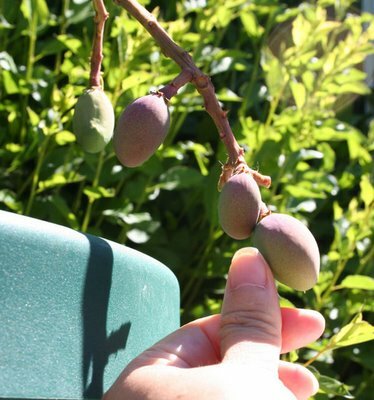 It is above the graft line but I am wondering if i should prune them off. I live in Cupertino. 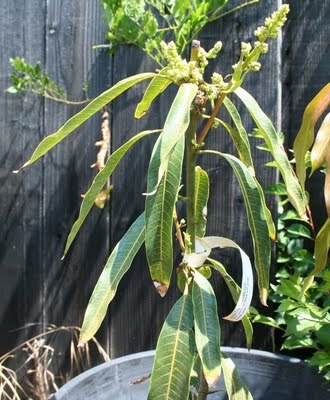 I recently planted Mango in a container and see some nice leaves coming up. Do I need to take the plant indoor during winter months? I live in Van Nuys. The valley has gotten down to the high twenties though this is rare. Recently I potted my Carrie with a peatmoss Miracle grow potting soil and the leaves seem to be drying up and or burning. Any ideas what to re-pot the plant soil with? I have only had my trees since the beginning of the year so they have not gone through a whole winter yet. I can tell you that they took quite a beating in february when left out during a storm. The hail ripped the leaves apart. That being said, they recovered nicely. I am leaving my container trees outdoors but may move them to out atrium during the coldest part of the winter for a month or so. The atrium is open at the top but a couple of degrees warmer than the yard. It also rarely gets really low because it is surrounded by the house. I think you can leave it outdoors all winter long if this winter is not too extreme but be prepared to protect your tree or bring it inside if we get a real cold spell for a longer period. You want to cover them (not with plastic and not touching tree/leaves) and consider a heat source like old-fashioned christmas lights (not the new LED ones that do not put out much warmth). ps. what type of mango tree? I did read that miracle grow potting soil was not great for tropicals because they compact down and I think that it might not drain fast enough causing root rot. Peat moss can also cause it to retain too much moisture. I used a fast draining soil mix that my husband made but from your description it sounds like you may be over-fertilizing…are you gertilizing? if so, with what? 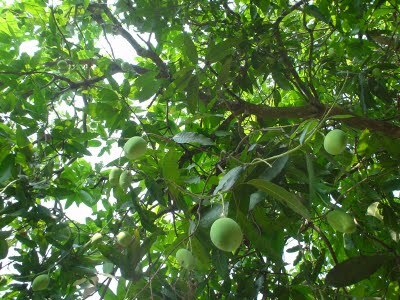 I know that mango trees can get fertilizer burn easily and that i why i use fish emulsion to fertilize my mango trees. I read that mangoes are particulary sensitive to cold weather. It's a surprise the small ones even survived the winter. But pictures don't lie, right? I read about the fertilizer burn too and that you should use mostly organic. I think mangos are very sensitive to the cold as well as "cold-feet" so a fast draining soil is important. I know that it is a long shot if I get anything out of these trees but tree ripened mangos are worth it. It's the first time I've heard of "plant cold feet". Interesting concept. It never crossed my mind. I wonder if the same applies to mango seeds. 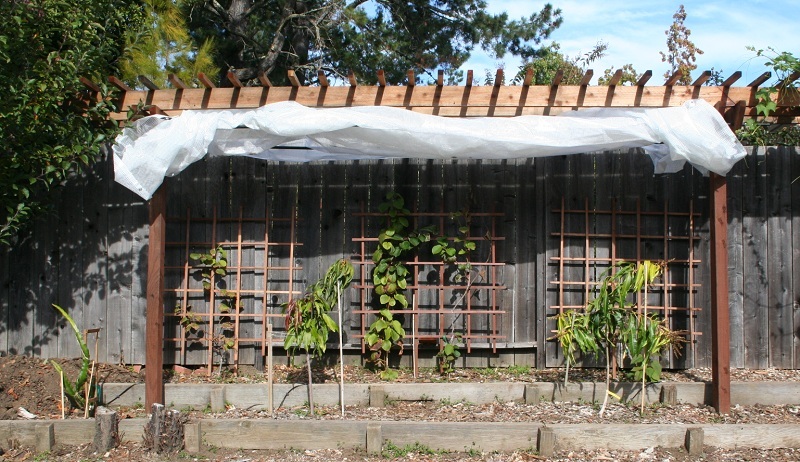 I've been reading up the whole mango planting thing because it's one of those inner child desires trying to come out. 😉 Our mangoes are all in the ref though so they're cold. Would you know if it harms the seed? Hi Tammy. Just saying hello again. 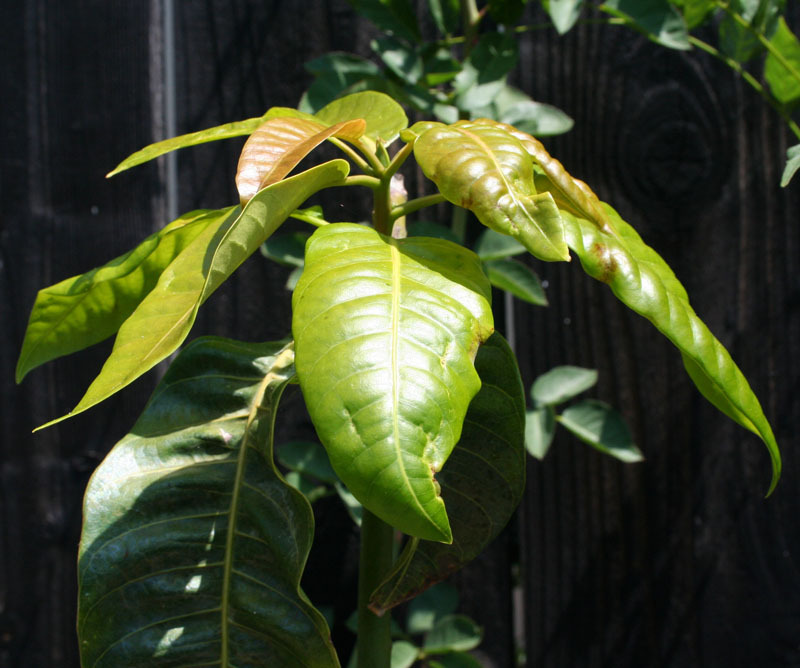 I'd like to share that my recently planted mango seed is finally showing some signs on growth. 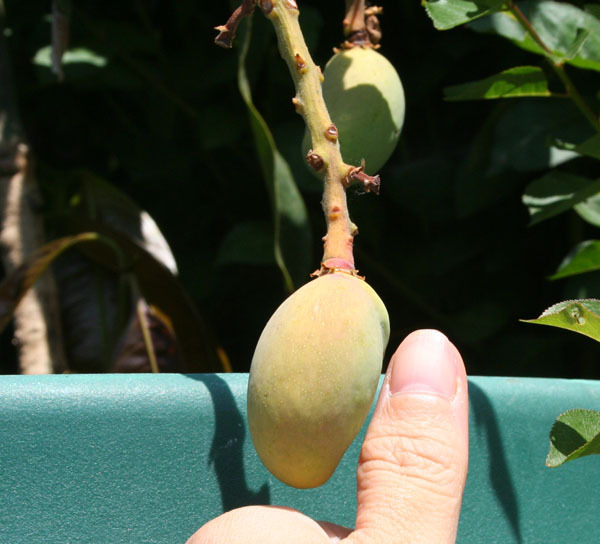 How are your mangoes doing these days? I haven't seen an update yet. 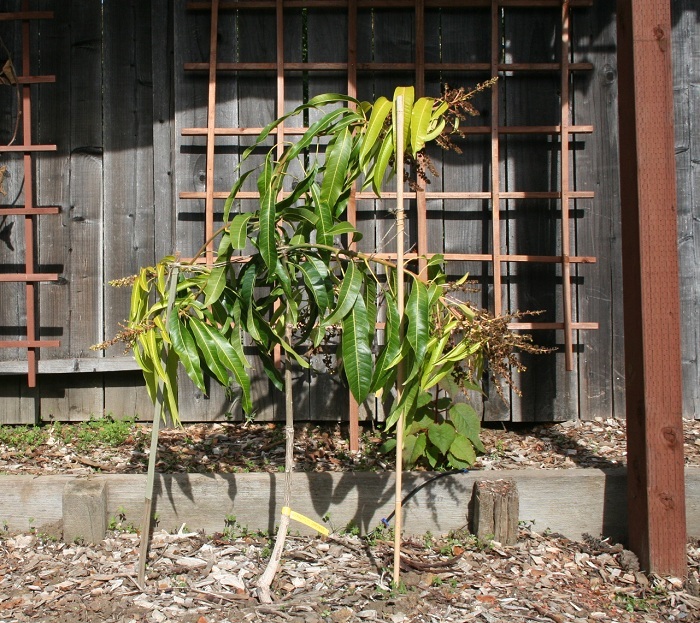 Young Mango Plants won't survive the cold. Mature trees can take about i'd say 25-30 degrees. 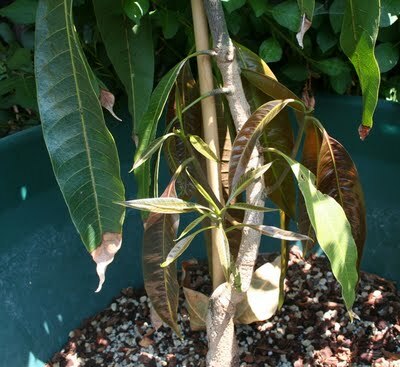 I have 3 Pakistani Mango varieties grown indoors from seed in NY. Waiting for warmer weather and then it goes out for full blown sun : ) I have it in my south facing window rite now and I used the regular Miracle Grow soil from Home Depot. 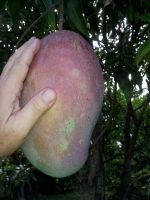 I have a Lancetilla mango tree, and last year it produced two mangos and they were not sweet at all. This year it has a bigger crop, what could I do to make sure they are sweeter this season. Hi Latrell, I have actually not had a lancetilla but I think the taste is supposed to be good but they are not in the same class as some of the sweeter mangoes. That being said, your fruit will probably sweeten up as your tree matures and with more sun. Is there anyone selling green mangos off there trees?Im pregnant and I been having a craving for green mangos. Can anyone sell me any please? usually asian markets sell them green.